Lovell’s Hall is the oldest secular building in Terrington St.Clement and is a grade II listed building situated on the west side of Station Road surrounded by a large garden. The hall was built in 1543 by William Lovell the then Lord of the Manor of Bardolf, one in four principal Manors in Terrington. The Lovell family acquired the Manor of Bardolf in 1416 and built the hall to replace a larger manor house which had previously stood on the site, The lower part of the present hall is of Barnack stone and in some parts these walls are five feet thick. The upper part of the hall is of brick. The principal room is panelled in oak and in Whites directory of 1864 the hall is described as containing several valuable paintings and a beautiful tapestry. 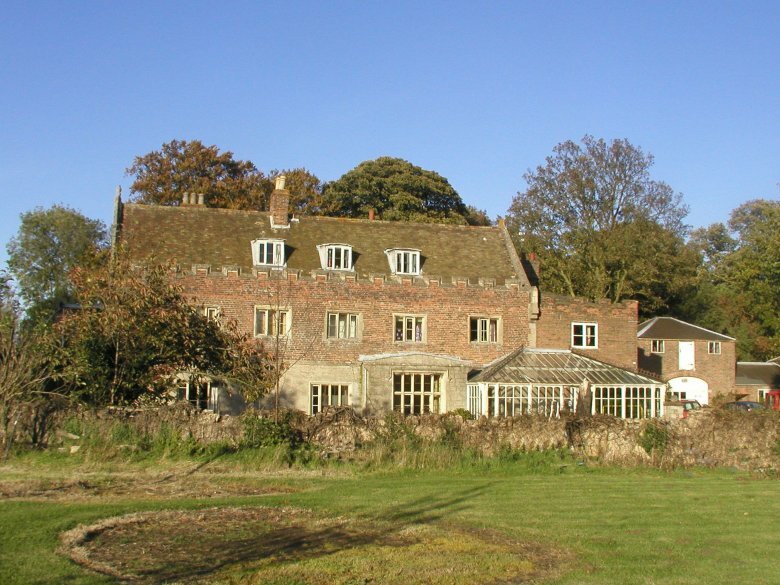 The Richers family owned Bardolf Manor in 1650 and John Richars lived in the hall at this time. Later the Reverend Thomas Thorogood Upwood M.A. (vicar of St. Clement’s Church 1843) lived there with his family. By 1883 the Rev, Upwood had died, the property passed to his trustees and his widow continued to live at the hall. The Upwood family ledger slabs are situated in the choir at St. Clement’s church. The Rev. Upwood donated an organ to the church which was installed on the gallery at the west end of the church. He also had erected a memorial to his wife Jane in the form of an octagonal covered well near the lichgate of the church. Known as Jane’s Well. After the death of Mrs Upwood the Reverend Holt-Wilson and his wife (relatives of the Upwoods) lived at the hall. Following the Rev.Holt –Wilson’s death his widow continued to lived at the hall in some style with her companion, Miss Manning into the 1930s. During the Second World War Lovell’s Hall was Requisitioned by the Government and troops were stationed there, After the war it Was occupied by Italian Prisoners of War and later by Colonel Lawrence a relative of the Holt – Wilson’s. Colonel Lawrence who was also a relative of T.E.Lawrence sold the hall to Mr P.C.H.Johnson. Mr Richard Brown is now the owner 2008.